Poppy Tree Frames creates custom, hand-made picture frames and other home décor products with a ton of customizable options and arrangements. Our user-friendly website allows our customers to design and visualize beautiful and unique décor. 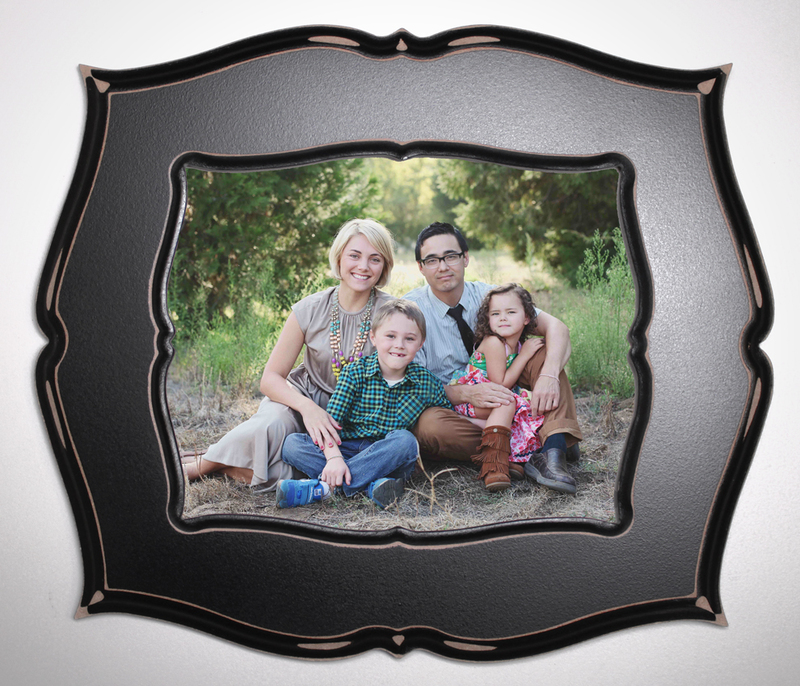 At Poppy Tree Frames, we absolutely love and take great pride in what we do. We love to design and create art that will complement our customer’s pictures and homes. Our goal is to provide such incredible products and excellent service that our customers will be excited to come back to us and share us with their friends and family. If there is ever anything we can do to improve your experience with us, please let us know. We have new items, giveaways, sales and a new discounted Frame of the Week each week. To keep up on the latest be sure to sign up for our newsletter on our homepage and follow us on Facebook and Instagram (@poppytreeframes). We highly recommend you watch our tutorial video to learn how to use this website and especially our amazing Custom Frame Tool. A desktop or laptop computer is required to use our Custom Frame Tool and preview frames. Standard sizes are priced proportionally lower than other sizes. When selecting a size on any product page, standard sizes say “Standard” next to them. All of the sizes offered in the Custom Frame Tool are standard. This includes glass sizes. The easiest way to contact us is to email us at info@poppytreeframes.com. How much areshipping and handling costs? Our frames are large, heavy and must arrive in pristine condition so they cost a lot for us to package and ship. We charge only a fraction of the actual shipping cost. Orders under $100 are between $8 and $11, orders between $100 and $200 are $13 and orders over $200 are $15. However, any shipments to Hawaii, Alaska or international will incur an additional cost. How do the frames sizes work? An 8×10 frame holds an 8 inch by 10 inch picture. The actual outer dimensions of the frames vary based on size and style. You can see the actual outer dimensions of any standard frame by using the custom frame tool. Do you have free-standing frames? Yes! All of our standard 8x10, 8x8, 5×7 and 4×6 frames come ready to be either wall-hung or free standing. I want to buy frames but I’m having trouble putting an arrangement together and coordinating colors. Check out our tutorial video to learn how to use our Custom Frame Tool. One of the easiest ways to get started on an arrangement is to choose a set you like from the Sets section and hit customize. If you ever need help developing an idea, we are always more than happy to help. Creating frames and arrangements is what we do! Please contact us at info@poppytreeframes.com. Can I save a set I create in the Custom Frame Tool for later? Yes! You can save any set you create by just adding it to your cart. When you’re ready to see it again just open your cart and click the reference #. We will create any size you want. If you need a size that is not a standard option, please just email us what you need and we’ll send you the price. How custom are you willing to be? Quite! We love to be challenged. We’ve created all sorts of super-custom work for our customers. It's rare but from time to time our shipping companies will damage an order. If this happens to you we will happily replace any item that has been damaged. Please just email us pictures to info@poppytreeframes.com and we'll take care of it right away. Can I return my frames or cancel my order? We want to make sure you are getting what you paid for! So, we are happy to replace any frame that has any option error or defect. Because all of our frames are custom-made, we cannot accept order cancellations once an order is in production. Sorry, no. However, for a very small additional fee, we do offer acrylic (Plexiglass) fronts that are indistinguishable from glass, nearly indestructible and much safer than glass. We also offer non-glare acrylic for a small additional fee. All of our custom frames are hand made and require time and attention to get just right. Custom frames will ship within approximately four weeks from being ordered.